Don’t assume that the risk of having your identity stolen lasts only as long as you are alive. More than two million dead Americans become victims of identity theft each year. To an identity thief, the recently deceased are ideal targets. Unlike the living, the dead never notice that they are being victimized and don’t take steps to stop these crimes. There is a system in place that is supposed to prevent this—when Americans die, their Social Security numbers are added to the Social Security Administration’s “Death Master File.” Once that occurs, credit-reporting agencies note the deaths in their files and credit issuers should not issue new credit. But this process can take months, leaving plenty of time for identity thieves to strike. During these months, it falls to surviving spouses, heirs and executors to protect the identities of the deceased. It’s in their best interests to do so. Although these spouses, heirs and executors are not legally responsible for financial losses caused by postmortem identity theft—it’s the duped creditors who are left holding the bag—these crimes can cause them major headaches as they struggle to convince creditors and bill collectors that the debts are not the responsibility of the estate. Prevent oversharing on social media. Some identity thieves search the social-media accounts of the recently deceased to find the facts they need. If the deceased has Facebook and/or other such accounts, log into each of these and ­either delete the accounts (assuming that you can gain access)…or, if you prefer to leave the accounts open as a way to remember the deceased, at least confirm that the account settings restrict access to only a small circle of family members and friends. Also read through the posts, deleting any that mention ID-related information such as mother’s maiden name or birth date. If you do not log into the account because you don’t have the password and cannot find it near the deceased’s computer, report the death to the social-media site. This often leads to the account being shut down or ­“memorialized” in a way that could at least limit access, though this can vary depending on the site and the settings that the deceased selected. Even if you take all the right steps to safeguard your deceased loved one’s sensitive information, he/she still could be victimized by an identity thief. There have been so many data breaches of retailers, financial institutions, government agencies and others in recent years that the information an identity thief needs might already be in circulation. 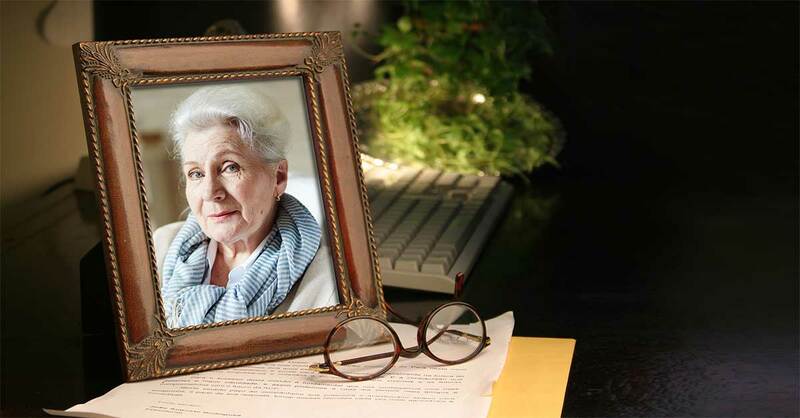 What’s more, postmortem identity theft sometimes is committed not by a stranger, but by a family member who has access to the deceased’s sensitive information. To obtain this report, you will have to provide identifying information about the deceased, including his Social Security number. It generally is easier to obtain the credit report before the credit-­reporting agencies are informed of the death. After they learn of it, extra steps might be required for the estate’s executor to obtain a copy. • TransUnion, PO Box 2000, Chester, PA 19016.